Chelsi Smith, an actress and former pageant queen, has passed away. According to New York's Pix11 News, Smith died on Saturday, Sept. 8, 2018, following a battle with cancer. She was just 45 years old. Smith's rep, Jarrod Klawinsky, told the Houston Chronicle that she had been diagnosed with liver cancer in the spring of 2017. Following her diagnosis, Smith reportedly became "extremely weak." In August 2018, she'd moved into her mother's home in Pennsylvania, where she'd remained until her passing. Smith's family quickly released a statement following her death. "We are heartbroken to share the news that Chelsi Smith has passed away following a protracted illness," they said (via Chicago station WGN9). "Chelsi was our loving daughter, niece, and friend. We will miss her infectious laughter, joie de vivre, and free spirit. She left an indelible mark on all those who knew her." Noting that Smith appreciated all the good will sent her way over the years, the statement went on, "While we mourn the loss of this vivacious and kind-hearted woman, we also celebrate her remarkable life and hope that it serves as an example to young women around the world that their dreams are possible through a loving heart and an enlightened mind." Smith is survived by her mother, Mary Denise Trimble, and her aunt, Paulette Trimble. In the coming months, there will be a memorial service for Smith in Houston, Texas. At the time of this writing, details for the service have not yet been released to the public. Smith kicked off her pageantry career in 1994, winning Miss Galveston County and Miss Texas. Then in 1995, Smith made history as the first biracial winner of the Miss USA pageant. That same year, she also won the title of Miss Universe. Remarking on her Miss Universe win, Smith admitted that her victory had been "really unexpected" (via Radar Online). She stated, "A swirl of emotions! I had worked so hard and wanted it so bad … the time had finally come and all of the hard work had paid off! I was excited, relieved, exhausted, fired-up all at the same time!" She continued, "Being named Miss Congeniality was also a huge part of my wonderful experience! It was a true tribute to the friendships and bonds that were created while I was there!" After her big pageant wins, Smith sought a career in the entertainment business, signing with Music World/Columbia/Sony Music in 1999, as noted in her family's statement. In 2002, she recorded the song "Dom Da Da" for the The Sweetest Thing soundtrack. According to BET, Smith also pursued an acting career, snagging roles in the sitcom Martin and the crime comedy Due South, as well as The History of the Bathing Suit, a TLC documentary. Her IMDb page lists the 2003 drama Playas Ball as her last acting gig. Smith later worked as a pageant coach. Since news of her death broke, Chelsi Smith's close friends and former colleagues have spoken out about her on social media and to the press. Her friend Daniel Lara told Radar Online, "She had the biggest heart, was so genuine and truly wanted happiness for us all. She's already missed." Former Miss USA Shanna Moakler also mourned the loss of Smith, sharing several photos of Smith in an Instagram post. "Having a hard time writing this. Found out the news of my good friend passing," she wrote in the caption. Calling Smith "funny, loving," and "smart," Moakler said, "Because her light was so big and so bright, she changed my life. If it wasn't for her, her beauty and her energy, her incredible destiny, I wouldn't even be where I am today." Moakler noted that Smith had remained "positive" throughout her sickness. "I will cherish my last conversations with you, I wish I was a better friend or could have done more. I know you are meant for bigger things then this world offered you," Moakler penned. "Visit me in my dreams queen I will be missing you and all your witty banter." Miss USA and Miss Teen USA also released a statement about Smith's passing. 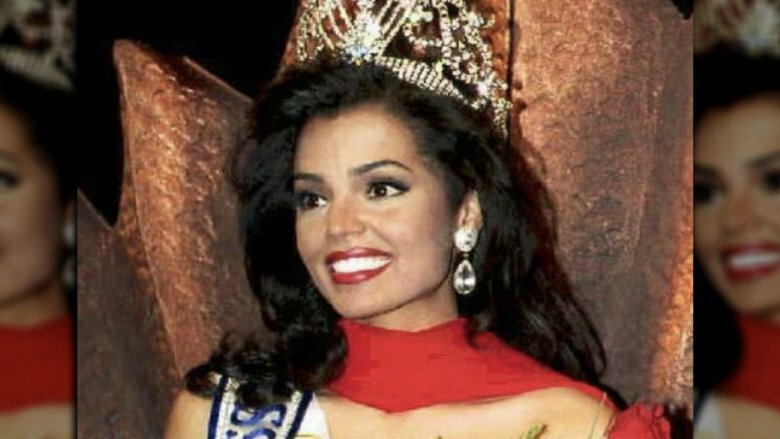 The organizations tweeted, "The Miss Universe community sends sincerest condolences to the family and friends of Chelsi Smith, Miss USA & Miss Universe 1995." Our thoughts are with Chelsi Smith's loved ones during this difficult time.